Posted: Wednesday, March 27, 2019 11:18 am | Updated: 2:50 am, Mon Apr 22, 2019. Faucets come in a variety of options. The most common are centerset, single-hole and widespread faucets. Make sure to check your vanity first and confirm if it has one or three holes before purchasing a faucet that may not fit. The most common types of showerheads are fixed showerheads and hand showers. A fixed showerhead is a permanent fixture in your shower, and a hand shower is detachable, including a flexible hose and holder to mount the showerhead. You can also consider installing both options, as a hand shower provides easier cleaning when a full shower isn't practical, such as during post-surgery recovery. Classic finishes like polished chrome, brushed nickel and polished nickel are popular choices. 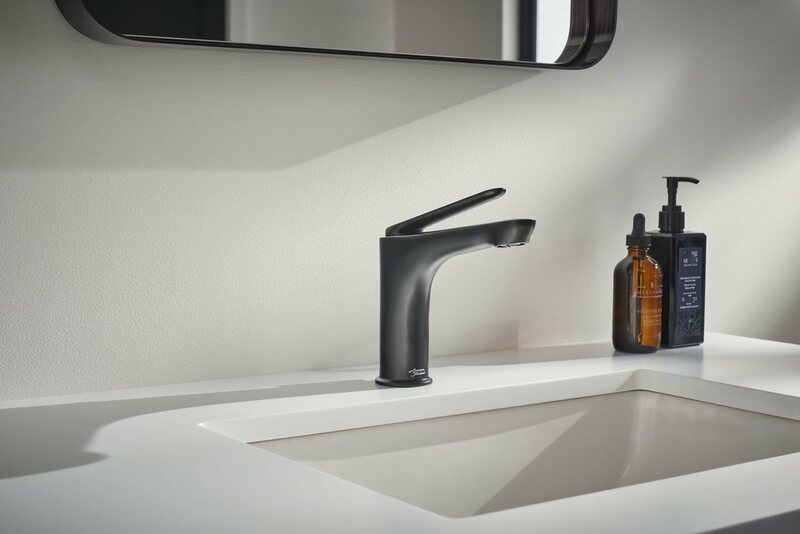 There are also a range of newer finishes that can meet your design and style preferences, such as those that are gold-toned or even matte black, like the American Standard Studio S bathroom sink faucet. When it comes to showerheads, the most common finishes are polished chrome, satin nickel and oil rubbed bronze. While a safe bet is to match the showerhead to your faucets and hardware, multiple finishes can add dimension and contrast. Water-efficient performance is typically a must-have feature in a bathroom sink faucet, whether you’re interested in meeting local water use restrictions or simply wanting to save money on your water bill. 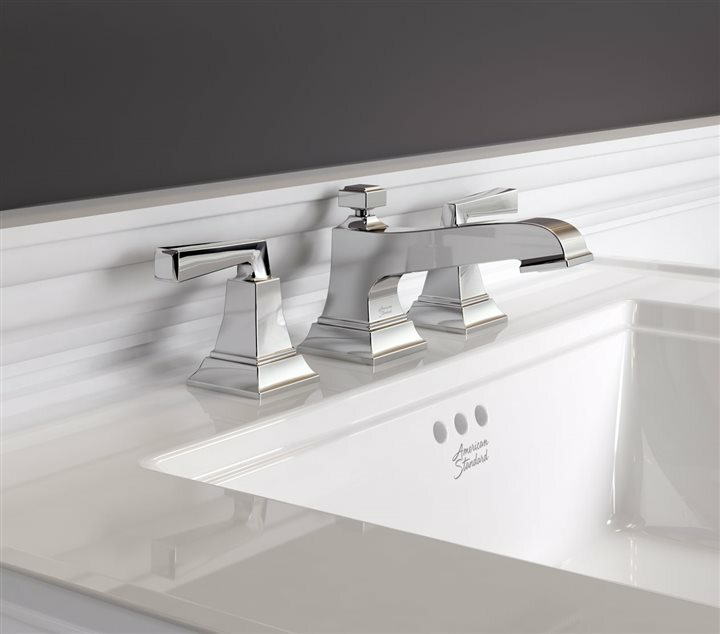 The Town Square S collection from American Standard is an example of a WaterSense-certified faucet that reduces water use without sacrificing style or performance. When choosing a showerhead, the spray functions are a feature to consider. You can choose from either single-function showerheads that offer one distinct spray pattern, or showerheads that provide a customized experience with several spray patterns that can help you relax, soothe or stimulate. Even better? Imagine the ability to instantly change the spray pattern with the touch of a wall-mounted remote. 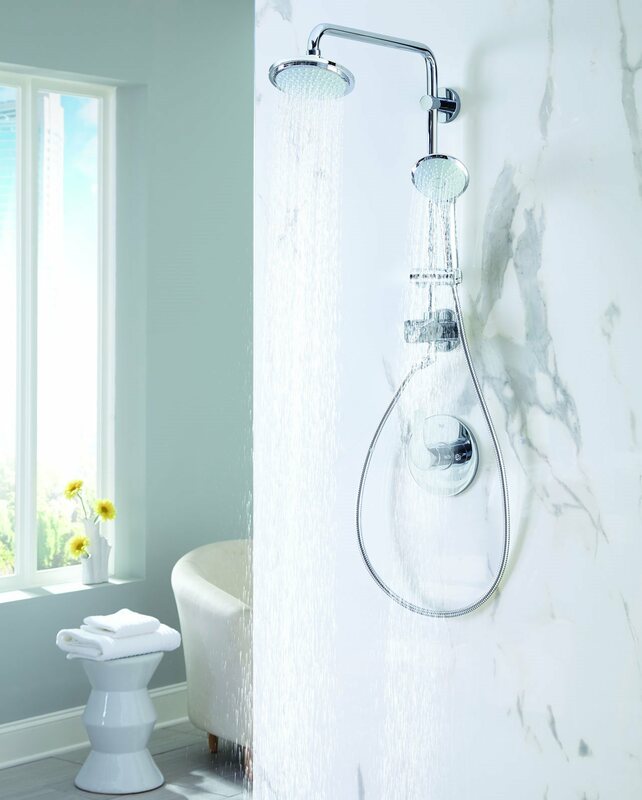 This is a dream come true with the Spectra eTouch showerhead from American Standard. Whether your bathroom requires a much-needed update or you just want to make it "guest-ready," choosing a new faucet and showerhead is an easy way to refresh the look and feel of your space. Posted in Real estate on Wednesday, March 27, 2019 11:18 am. Updated: 2:50 am.